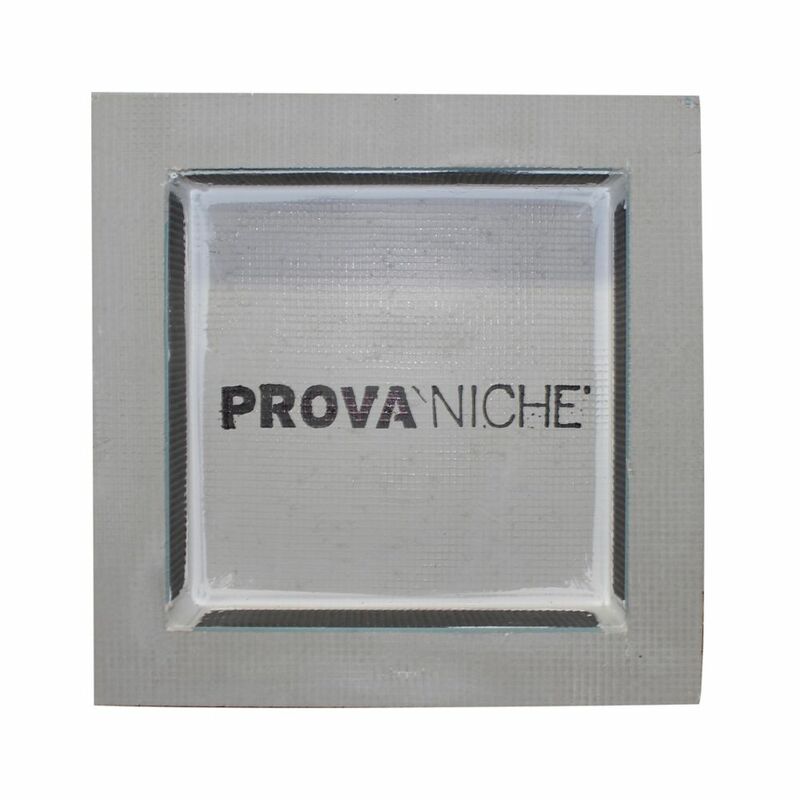 PROVA NICHE is a pre-fabricated niche made of PROVA BOARD PLUS and can be used with PROVA MAT and PROVA BOARD PLUS when installing a tiled shower. PROVA NICHE is a useful and stylish accessory that can be used to hold shampoo bottle, soap and other necessities while saving floor space in a tile shower. Materials include a core made of high density extruded polystyrene (XPS) and an exterior made of fibreglass mesh/waterproof cement coating. Attach ProVa Niche directly to the framing studs. The 100% waterproof XPS core prevents mold growth and is resistant to vapour pressure. M-D warrants that all components of the PROVA-SHOWER. system will meet all composition criteria for 10 years from the date of purchase. Additionally PROVA-SHOWER. system will conform to its performance criteria for 10 years from the date of purchase if the tile assembly was subjected to normal usage and installed in accordance with the PROVA-SHOWER. system. Installation Instructions and the installation standards of the Tile Council of North America (TCNA) and the Terrazzo, Tile and Marble Association of Canada (TTMAC). Prova Niche - 16-inch X 16 Inch PROVA NICHE is a pre-fabricated niche made of PROVA BOARD PLUS and can be used with PROVA MAT and PROVA BOARD PLUS when installing a tiled shower. PROVA NICHE is a useful and stylish accessory that can be used to hold shampoo bottle, soap and other necessities while saving floor space in a tile shower. Prova Niche - 16-inch X 16 Inch is rated 1.0 out of 5 by 1. Rated 1 out of 5 by LauraP from extremely disappointed Very disappointed with the website specs and dimensions. This niche is actually only 12x12 with a four inch rim all around. No where on the website does it state this. It does however state this on the box it is shipped in. Due to time constraints we had to use this. I wanted a larger niche than I have so as long as I live in this house I will always see this installed niche and be continually disappointed!